RonI, Inc. provides a wide variety of solutions to meet current and future material handling needs for industries around the world. From Lift-O-Flex® Lifters to MOBI-Crane™ to MovoMech™ Rails and EasyHand™, RonI has offerings that can be tailored to a wide array of tasks. Lifting, rotating, and manipulation of rolls, spools, glass, windows, doors, and metal plates can be accomplished according to your requirements. 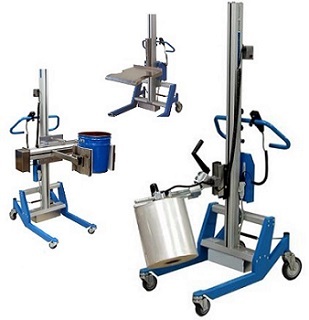 Drums, barrels, and cylinders can be lifted and poured to safely meet your Ergonomic Material Handling needs.